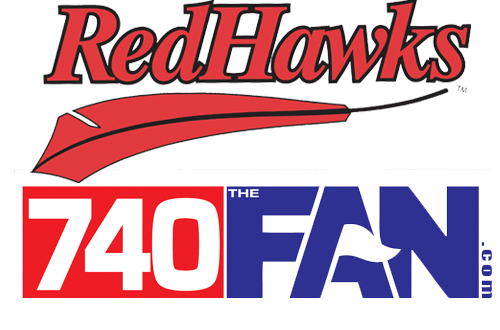 Fans of the Fargo-Moorhead RedHawks will be able to keep their radio tuned to “The FAN” for three more years. The RedHawks have signed a three-year extension with Radio Fargo-Moorhead to broadcast all regular season and playoff games and select pre-season games on 740 KVOX AM The FAN through the 2015 season. The new agreement includes an additional three-year option for 2016-18. Scott Miller will return to the booth as the Voice of the RedHawks in 2013. It will be his eighth season calling play-by-play for Fargo-Moorhead. Baseball legend Maury Wills will return for his 17th season as color commentator, and will be on-air for four home series throughout the summer. The FAN’s coverage area stretches across most of North Dakota, northwest Minnesota, northern South Dakota in most of southern Manitoba. It has the fifth largest daytime geographical coverage of any radio station in the United States covering 101,687 square miles. Radio Fargo-Moorhead includes The FAN 740 AM, KFGO 790 AM, BOB 95 FM, 101.9 TALK FM, 104.7 Popster FM and Y-94 FM. Part of the RedHawks agreement will allow for cross-promotion across the entire Radio Fargo-Moorhead family of stations.